House/Wilson. . HD Wallpaper and background images in the हाउस एम.डी club tagged: house md hugh laurie season 7 house wilson hilson wallpaper robert sean leonard 7x22 after hours. This हाउस एम.डी wallpaper might contain बाथरोब, स्नान वस्त्र, and bathrobe. why cuddy is so cold?? ?toward house ; i'm staring to hate her realy she destroy him more then stacy did. I love Wilson! 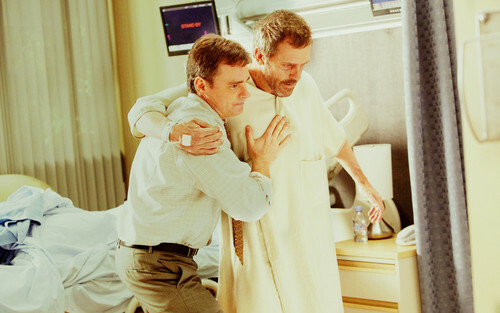 He's always there for House.